Lasiantha got to Australia about 2010. Firstly we got photos which made it seem very enticing. 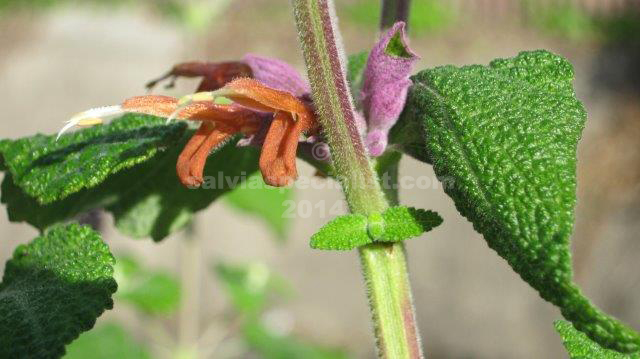 The calyx is purple and the flowers rusty. However there was no size comparison with the flowers and they eventuated to be surprisingly small and not so dramatic as the photos seemed to indicate. It seems that in other areas it has quite long good spikes. However, they are certainly unique! Lasiantha forms a bushy evergreen shrub about 2m and maybe a bit. It starts to flower in May for me but doesn’t like frost much. It seems to need full sun to flower well.